If you are looking for an excellent carpet cleaning service in Maudsland, your search is over! Because you are on the page of the best carpet cleaner in Gold Coast, the Carpet Cleaning Kings! We are a well-established cleaning services provider that is known for our outstanding carpet cleaning service. Our company is proud to claim that we are one of the best, perhaps, the very best in the cleaning and restoration industry today! Our outstanding carpet cleaning service is highly acclaimed and been receiving positive reviews and testimonials online. So, if what you need is a trustworthy and reliable carpet cleaning service, try ours now! The excellent service that we are boasting is the result of the team that we formed based on our company’s goal; to bring total satisfaction to our clients. Our team is composed of professional individuals who are all passionate understanding, addressing and treating all types of carpet-related problems. The administration staffs of Carpet Cleaning Kings are all knowledgeable in giving helpful suggestions and information regarding carpet cleaning. They can also surely accommodate you the most proper way possible. Our technicians, on the other hand, are all trained to perform only the safest and most efficient method of carpet cleaning using the best of the best products and equipment. All of our staffs receive regular training from carpet experts to maintain and enhance their skills and knowledge. Indeed, our team is the most capable of restoring the cleanliness, freshness and safeness of your carpets! Our company is a proud member of some of the biggest names and associations in the cleaning and restoration industry such as the Institute of Inspection Cleaning and Restoration Certification (IICRC) and the Specialised Cleaning &amp; Restoration Industry Association (SCRIA). If your carpet is dirty and heavily soiled, our Heavy Duty Clean package is the one you should avail! This 9-step procedure package is an in-depth carpet cleaning service that can surely restore the cleanliness and safeness of your carpets. 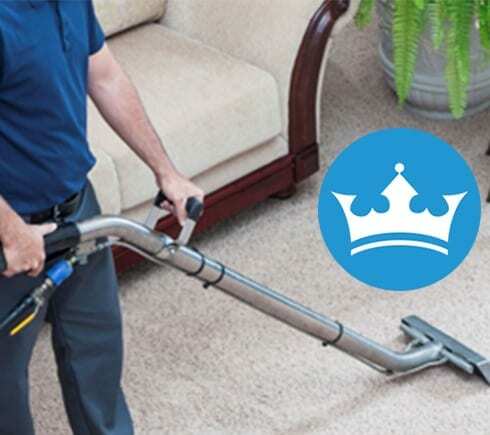 It is designed to treat carpets that are heavily soiled for it includes scrubbing via rotary agitation that loosens the hold of soil in the carpet making it much easier to be removed through hot water extraction steam cleaning. Our technicians are all trained to perform only the best method of carpet cleaning that is why we are self-assured that no matter what’s the package you’ll avail is, our service will surely satisfy you! To know more about our packages, please visit the Residential Carpet Cleaning page on our official website. We also offer rug cleaning, upholstery cleaning, mattress cleaning, pest management, AC cleaning and much more!.We also excel in providing water damage restoration service! All our services are available in Maudsland and the entire Gold Coast. For bookings and enquiries, please call 1300 700 075.